Reza Marashi served in the Office of Iranian Affairs at the U.S. State Department and is currently research director at the National Iranian American Council. He is frequently consulted by Western governments on Iran-related matters. He took to Twitter on Friday to sound the alarm ahead of Secretary of State Mike Pompeo's upcoming address called "Supporting Iranian Voices," set to be held Sunday at the Reagan Library, warning as a former longtime State Department insider that this is not about "rights" or "democracy promotion" but that the wheels of the Washington regime change machine are turning. And now I shall go on one of my famous rants. 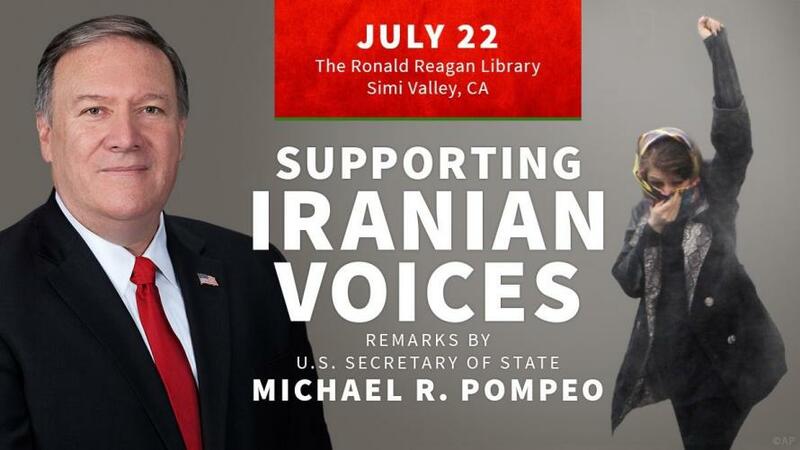 This time about Mike Pompeo's upcoming speech on "Supporting Iranian Voices." This is going to be long. Find your favorite comfy chair. Put on some cozy attire - sweatpants, perhaps. Pop some popcorn. Pour yourself an adult beverage. To date, out of respect for my friends still fighting the good fight at the State Department, I have kept silent about this heavy, wet, overflowing diaper of everything that should not be. But I keep getting asked about it, so I will oblige once and then let the clown show carry on. An eerily familiar drumbeat of war is intensifying across DC, as the continues its wars in Iraq, Afghanistan, Syria, and Yemen. The ghosts of America’s neoconservative past are dusting off their Iraq playbook to make the case for war with Iran. Their formula is simple but effective: Portray the Iranian government as an existential threat, insist that a chain of catastrophic events will result from inaction, and minimize costs and risks of the war that is necessary to facilitate their regime change efforts. If one looks back, however, neocons weren’t alone in their push for war with Iraq. A crucial aspect of selling the war to the U.S. public was a modicum of support within the Iraqi-American community. 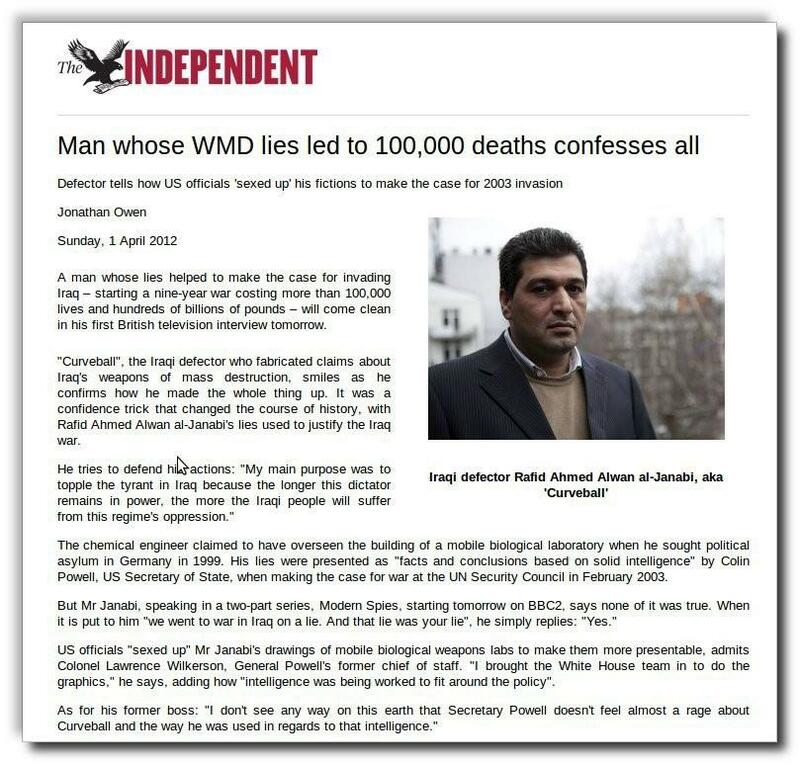 Iraqi exiles living abroad, such as Ahmed Chalabi and Kanan Makiya, as well as supposed whistle-blowers turned known fabricators like the infamous "Curveball," led a contingent of vocal Iraqis who pushed for steadily more aggressive actions to topple Saddam Hussein’s regime. Their promise that the invasion would be a cakewalk and that U.S. soldiers would be greeted with flowers and candy didn’t quite pan out. Now, the fruits of their labor are clear for all to see — a broken country, devastated by war, with no discernible end in sight. Fast forward to 2018, and most Iranian Americans oppose Trump's push to war. Working at the State Dept and NIAC has crystallized one key takeaway: Iranian Americans deeply resent Iran's government, but prefer U.S. policies that emphasize engagement and de-escalation. For four decades, Iranian Americans have grappled with the paradox of wanting to make Iran a better place - but fearing success as much as defeat. Some worry that contributing to positive changes inside Iran will only strengthen a draconian system, extending its lease on life. For many Iranian Americans, this dilemma was resolved by their disastrous historical experience with revolutionary upheaval. Rather than laying the groundwork for democracy, Iran’s 1979 revolution simply replaced one authoritarian government with another. As a result, Iranian Americans strongly prefer to use the rule of law to alter not only the Iranian government’s behavior, but also the thinking of Iranians inside Iran. Efforts by Iranian Americans to promote engagement and oppose war have been consistent and cohesive. Overwhelming Iranian American support for Obama’s 2008 presidential campaign is a telling indicator of our political attitudes. For every $1 raised by GOP nominee John McCain from Iranian Americans, Obama — who ran on a platform that promoted diplomacy with Iran — raised $5. Iranian Americans understand from personal experience that abrupt political change is unlikely to produce the desired result. Liberal Iranians were unable to contain the 1979 revolution’s excesses. And they lacked the stomach for the brutality that wins revolutions. 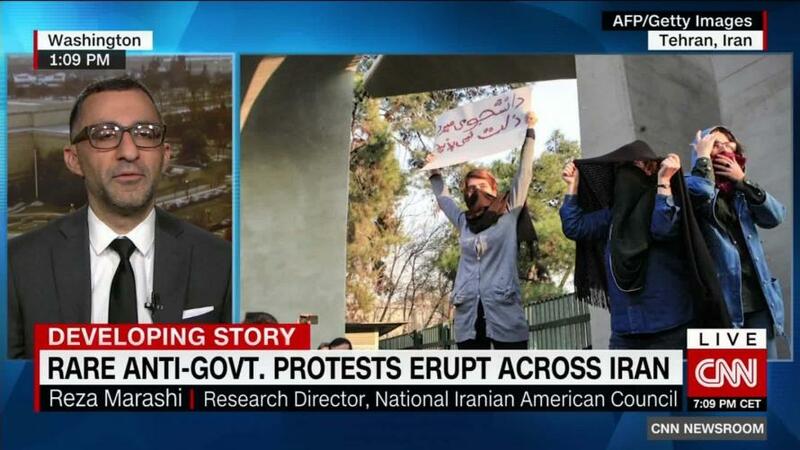 Reza Marashi, a former State Department insider and consultant to Western governments on Iranian affairs speaking to CNN about the widespread protests that gripped Iran in late 2017 and into January 2018. Despite the fact that most Iranian Americans favor a more tolerant, pluralistic, and democratic system in Iran, they see little evidence that U.S. efforts to topple the current government would bring Iranian democrats to power. Within Iran, rampant popular dissatisfaction has yet to evolve into a sustainable and coherent challenge to the system. The Iranian government’s monopoly on violence has prevented such challenges, but has not ended the desire for change. Ongoing death and destruction in Iraq, Afghanistan, Syria, and Yemen with no end in sight makes Iranian Americans even warier about foreign efforts to "liberate" their ancestral homeland. Right or wrong, many Iranian Americans see these U.S. military invasions as less about democracy, and more as a gambit to seize resources. These conspiracy theories may seem absurd, but behind them lies a deeper reality that is very powerful in the minds of Iranian Americans. Few Iranian Americans would welcome the prospects of a U.S. war under the auspices of democracy promotion that, in turn, shattered any semblance of stability and ignited a destructive cycle of conflict. The long unmet political, economic, and social aspirations of Iranians inside Iran keep Iranian Americans searching for new ways to help foster peaceful, indigenous change. Their ideas remain diverse, but there is near-unanimous consent that change should occur without bloodshed. Iranian expatriates want to change their government - it is their methods that differ. A majority of Iranian-Americans would welcome an improvement of relations between Washington and Tehran because it increases the prospects for positive, peaceful change from within. The watershed moments in U.S.-Iran relations over the past 40 years — particularly the JCPOA and intensive, sustained, direct U.S.-Iran diplomacy that it required — all occurred at the height of Obama’s "mutual interests and mutual respect" initiative. Engagement with the Iranian government understandably spurs many moral dilemmas for Iranian-Americans. Most, however, understand the "alternatives" — particularly when juxtaposed with Iraq. America's war has resulted in hundreds of thousands of dead Iraqis, millions of displaced Iraqis, and decades worth of destroyed lives for those still living in a perpetual war zone. And sanctions came before that! Are Iranians really supposed to prefer this over the status quo? Let’s not kid ourselves: A minority of Iranian Americans support U.S.-backed regime change. American neocons have their kindred spirits — some long-established, some coming of age. But most Iranian Americans distrust anyone who welcomes economic or military warfare on Iran. There's no arguing that Iran must change. Few Iranian Americans favor sitting idly by and waiting for the situation in Iran to improve on its own. But only Uncle Toms buy the deceit that Pompeo is selling. That is all. You may now return to your regularly scheduled programming.